Whether you’re arriving by ferry, plane, highway, or train, the routes into the port city of Prince Rupert are both stunningly scenic and quintessentially West Coast. 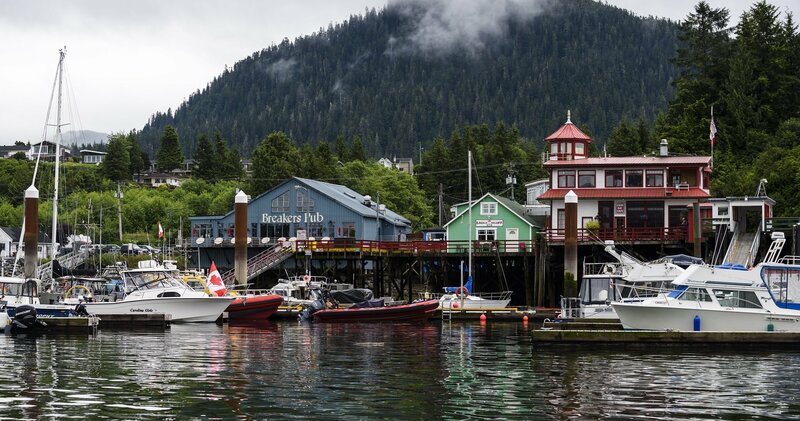 Surrounded by deep river valleys, craggy mountain ranges, and seascapes dotted with islands, Prince Rupert stakes the intersection of Northern BC’s famed Route 16 and a mid-point of the Inside Passage, a sheltered waterway running along the coast from Vancouver to Alaska. Like many coastal communities, ocean activities are the mainstay in Prince Rupert. Whale watching and fishing opportunities abound in this mural-adorned city, with giant halibut and salmon the catches of the day. Prince Rupert Adventure Tours also offers excursions to watch grizzly bears forage along the shores of the Khutzeymateen Grizzly Bear Sanctuary, home to North America’s highest concentrations of these magnificent animals. Prince Rupert is also home to The Museum of Northern British Columbia; its large cedar-wood longhouse houses collections and exhibits highlighting the culture and history of the Indigenous peoples of the Pacific Northwest. 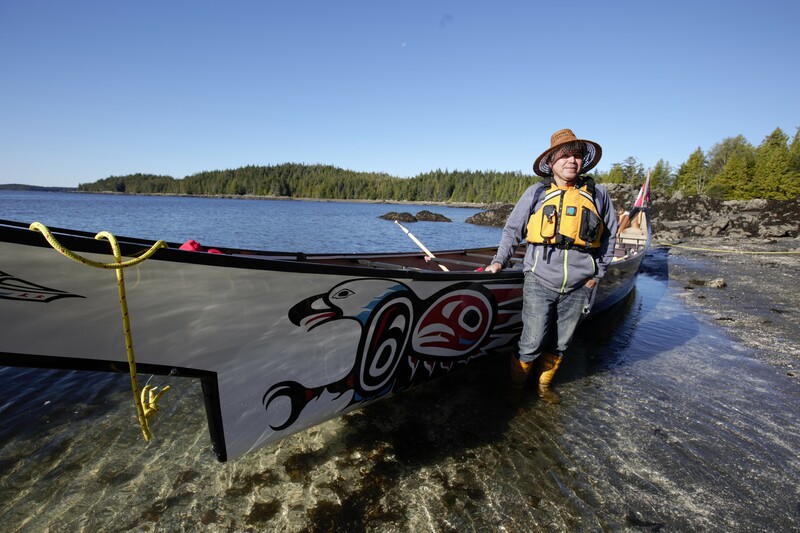 For an authentic Indigenous experience, Coastal Cultural Canoeing offers day trips in a large traditional canoe, as band members share stories of the Lax Kw’alaams people. A trip to Prince Rupert isn’t complete without a visit to the North Pacific Cannery in nearby Port Edward. This national historic site is a functioning monument to the salmon canning industry that was once the lifeblood of the area. Take a trip back in time and immerse yourself at the canning line and seaside boardwalk village while local guides recount tales of how it used to be. Want to explore more Northwest history? Northern BC Jetboat Tours also offers guided tours to some of the abandoned canneries and historical communities off the area’s beaten path. If saltwater isn’t your cup of tea, Outer Coast Outfitters rents canoes and kayaks for pushing off into the crystal-clear waters of Prudhomme Lake Provincial Park. After a long day of adventuring and sightseeing, whet your whistle and catch some live music at Wheelhouse Brewing, one of Northern BC’s best craft breweries. And be sure to sample the colourful, creative, locally sourced meals from chef Dai at Fukusaku Sushi, the first sushi restaurant in BC to be 100 percent certified by Vancouver Aquarium’s Ocean Wise program. Opa Sushi, housed beautifully in one of the last remaining net lofts on the coast, is another great option for fresh, local seafood. This city of 12,000 people boasts a variety of hotels, motels, bed and breakfasts, and lodges. For a unique wilderness experience, the charmingly rustic and secluded Khutzeymateen Wilderness Lodge floats on the ocean, with seals and otters swimming underneath. The Cassiar Cannery in Port Edward offers an escape from the bustle with cozy and eclectic oceanfront cabins restored from the remnants of a defunct cannery. In town, the Crest Hotel offers a more traditional hotel experience, with top-notch amenities and some of the best dining in town. And the Eagle Bluff Bed and Breakfast offers marina-side accommodations in the heart of Cow Bay, home to many of Prince Rupert’s shops and restaurants. There are daily flights from Vancouver to Prince Rupert, and VIA Rail offers service along their northern route from Jasper, stopping at many unique communities along the way. A road trip from Smithers or Terrace is another great option, with the route often cited as one of the most scenic drives in Canada. Perhaps the best way to get to Prince Rupert is via BC Ferries’ Inside Passage route. Departing from Port Hardy on Vancouver Island, this 16-hour cruise aboard one of the finest ships in BC Ferries’ fleet sails through some of the most beautiful waters on the Pacific Coast. Guests often spot whales, sea lions, and porpoises along the way. Always wanted to explore the Skeena River? Read about Mike Seehagel's Skeena adventure, from fishing remote waterways to hiking above Prince Rupert. Follow along as our Instagrammer of the Week, @kattancock, shares scenes from her recent trip from Northern Vancouver Island to Prince Rupert. Discover the best of this remote archipelago including Haida First Nation food and art. Follow our Instagrammer of the week, photographer @kylervos, who is sharing photos from his Haida Gwaii surf road trip.